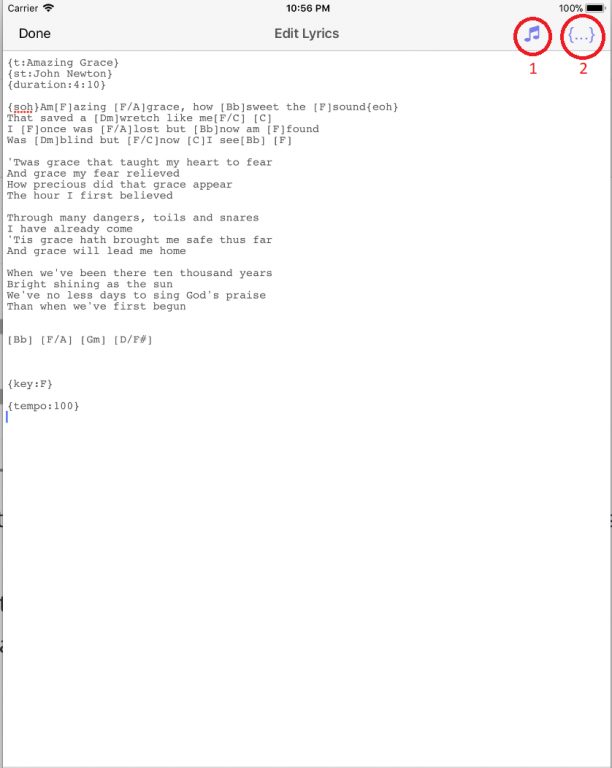 That will take you to the “Edit Lyrics” page where you can type your own lyrics. Another way to get to the edit lyrics screen is to tap the song in the song list. This will take you to the “Lyrics” view. Tap the “Edit” button at the top right of the screen. This will take you to the screen below. 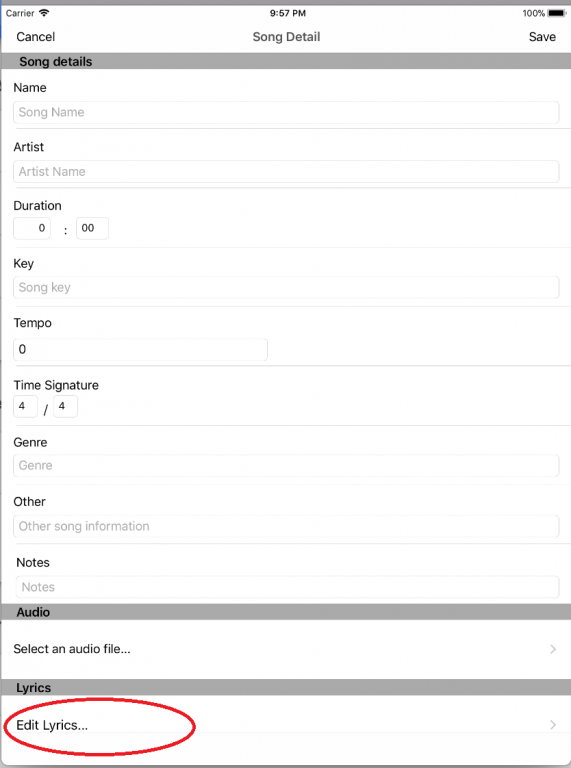 Insert chord – This will insert a chord that you click in the list where the current cursor is at.